You are here: Home Shop GadGets & Peluche John Carpenters THE THING Bottins Monster Statue Sculpture 7"
THE THING SCULPTURE CONSIDERED ONE OF THE SCARIEST FILMS OF ALL TIME, CELEBRATE THIS TENSE, VISUALLY-STRIKING CLASSIC WITH THIS LIMITED EDITION PIECE OF ART. 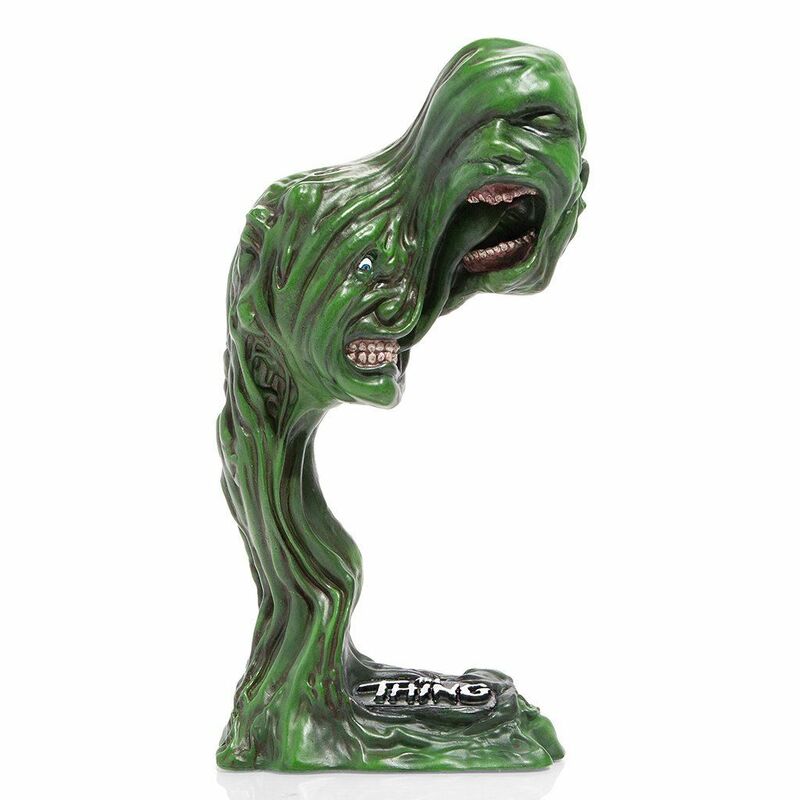 MEASURING 7'' TALL, IT CAPTURES ONE OF THE MOST ICONIC EFFECTS OF THE MOVIE, A FITTING TRIBUTE TO THE HARD (AND REVOLUTIONARY) WORK BY MAKEUP ARTIST ROB BOTTIN. MADE BY CHRONICLE COLLECTIBLES. CONSIDERATO UNO DEI FILM PIÙ SPAVENTOSI DI TUTTI I TEMPI, CELEBRA QUESTO CLASSICO TESO E VISIVAMENTE IMPRESSIONANTE CON QUESTA OPERA D'ARTE IN EDIZIONE LIMITATA. CON I SUOI 7 POLLICI DI ALTEZZA, CATTURA UNO DEGLI EFFETTI PIÙ ICONICI DEL FILM, UN TRIBUTO AL DURO (E RIVOLUZIONARIO) LAVORO DEL TRUCCATORE ROB BOTTIN. REALIZZATO DA CHRONICLE COLLECTIBLES.